It is hardly a stretch to say that 2017 has been the year of BTS. Many point to Bang Si-hyuk, who discovered and trained all seven boys and produced their songs, for the band's success. In many ways, Bang is to BTS as Simon Cowell is to One Direction. Although the 45-year-old "mastermind" behind BTS declined to get into further details regarding his strategy, Bloomberg analyzed in the piece published on December 18 that "social media likely has something to do with [BTS' success in the U.S. market]." The K-pop band wields considerable influence on various platforms of social media. 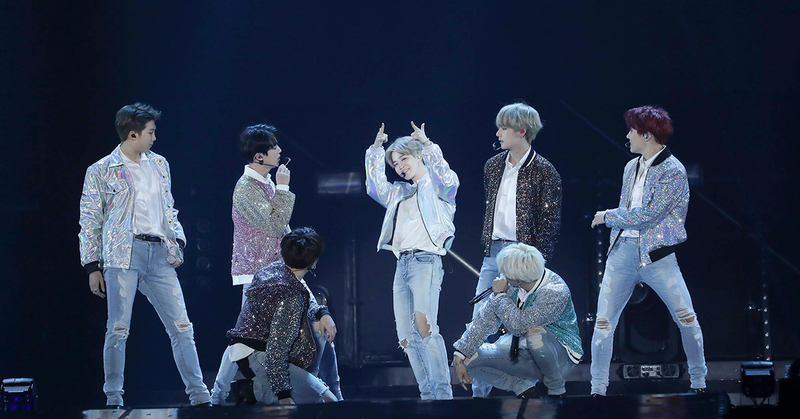 A dozen of their music videos boasts over a hundred million views on YouTube and Twitter announced BTS as the most tweeted-about artist of the year, beating Justin Bieber and Ariana Grande. Bloomberg reports that according to the New York-based researcher Shareablee Inc. BTS has been retweeted or liked on Twitter half-a-billion times in 2017, which is "more than U.S. President Donald Trump and Justin Bieber combined." The band's music, which is almost exclusively written and sung in Korean, is translated in real-time into English by fans, which partially explains how the band got to win over so many international fans.